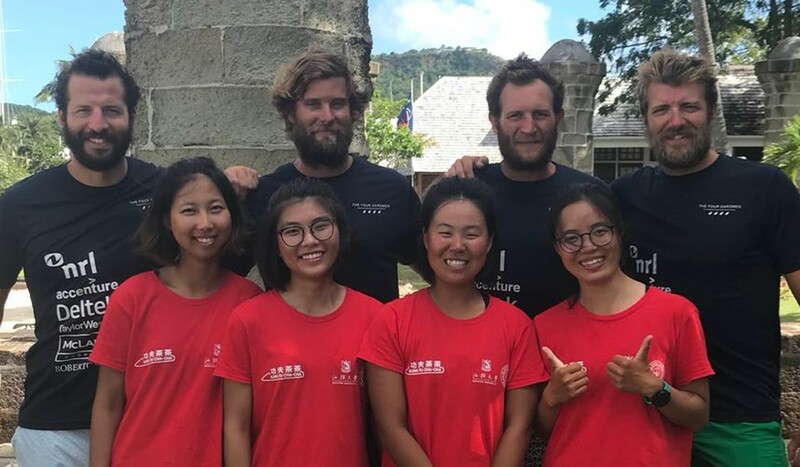 Kung Fu Cha Cha were in the middle of the Atlantic, alone and in the midst of their bid to be the first Chinese team to row any ocean when a wave hit their stern. They had weathered it many times before, but then there was another hit, and another. Water spilled over their decks. Sarah Meng Yajie (23) was inside the cabin resting when she heard Tina Liang Mintian (23), Cloris Chen Yuli (23) and Amber Li Xiaobing (22) begin to scream. The door was ajar because of the heat. Ocean rowing boats are self righting, but if they flip when a cabin door is open it is game over. Meng dived for the door, grabbed it and held it shut just in time as the boat turned 360. Out on deck, the three women did not have time to react. “Am I dying? No. Did I buy insurance? Yes,” thought Chen. The boat fully rotated, and when it stopped Li was in the sea. She climbed back in but there was no time to lick her wounds. If they stopped rowing, they would have lost control of the boat. The team were taking part in the Talisker Whisky Atlantic Challenge – a 4,800-kilometre rowing race, unsupported from La Gomera in the Canary Islands to Antigua. Teams have to carry their own food and make their own water. The women rowed non-stop all day and night – two hours on, two hours off – and despite Kung Fu Cha Cha’s flip, they went on to set the female world record by six days. 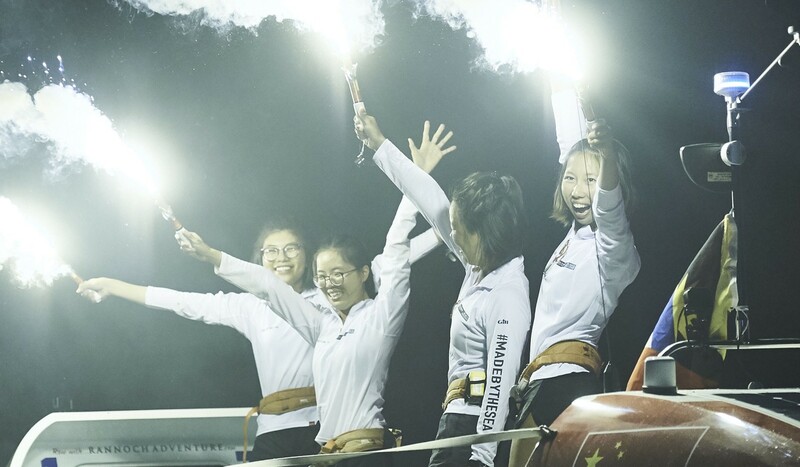 They also became the youngest women and the first Chinese team to complete the feat. After the incident, Kung Fu Cha Cha had a new level of determination and despite losing one of their seats in the flip they knew the record was on the line. They arrived in Antigua after 34 days at sea. “Not just our team, but so many people, the women especially, were chanting Kung Fu Cha Cha,” Li said. Boats sounded their horns, their university song was blaring and when they walked into a restaurant everyone cheered and sang We Are The Champions. But the rowers think it is impossible for people to imagine what they went through. But one person who can fully appreciate their accomplishment is their coach Charlie Pitcher, who has rowed the Atlantic twice and previously held the solo world record. He described helping Kung Fu Cha Cha as the most rewarding job he has been involved in. Liang said: “He did the race, twice, and he of course was proud of himself. But as our coach, in a different position, he helped us achieve such a great thing. He must be very proud. The women were first introduced to ocean rowing when they rowed with Shantou University from Shantou to Hong Kong. After the trip, Hong Kong tycoon Li Ka-shing offered to support them across the Atlantic, but their parents took some convincing. Now, their parents see them in a different light.